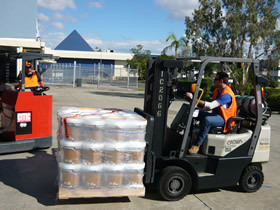 BFC Australia currently has warehouse facilities available on the North side of Brisbane located just 20 minutes from the CBD and Port of Brisbane. 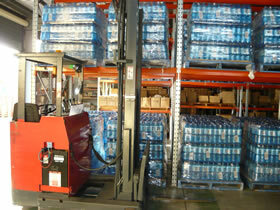 Our Virginia depot can cater for all aspects of warehousing from container pack/ unpack to the pick'n'pack and delivery of goods. Due to our vast range of services, BFC Australia can provide a comprehensive warehousing and distribution package customized to your business which in turn, allows you more time to concentrate on your key strengths. Having started in the container pack/unpack game over 10 years ago servicing both Brisbane and Sydney customers, BFC has the experience needed in a diverse range of stock types to get your goods packed in the most efficient and professional way possible. Through building strong relationships with some of Brisbane's top container transport companies we at BFC Australia can offer container clearance and transport Australia wide with both tilt tray and swing lift trucks available.